On 7 January 2011, the Committee on Legal Affairs and Human Rights of the Parliamentary Assembly of the Council of Europe adopted a report on “Inhuman treatment of people and illicit trafficking in human organs in Kosovo” which found, inter alia, that during and after the armed struggle of the Kosovar Albanians against Serbia in the period from 1 January 1998 to 31 December 2000, ethnic Serbs and Kosovar Albanians were held prisoner in secret places of detention under control of the “Kosovo Liberation Army” (KLA) in northern Albania and were subjected to inhuman and degrading treatment, before ultimately disappearing. Some of these prisoners also had their organs removed to be taken abroad for transplantation. This report caused the European Union in September 2011 to establish a Special Investigative Task Force (SITF) as part of its Rule of Law Mission in Kosovo (EULEX) to conduct an independent criminal investigation into the allegations contained in the report, as well as into other crimes connected to those allegations. On 14 April 2014, under pressure from the European Union and the United States of America, the Government of Kosovo agreed to establish “a specialist court within the Kosovo court system and a specialist prosecutor’s office” to be used for any trial and appellate proceedings arising from the SITF investigation. This was an important step to demonstrate Kosovo’s commitment to the rule of law and international justice. On 3 August 2015, the Assembly of the Republic of Kosovo adopted Article 162 to the country’s constitution on “The Specialist Chambers and the Specialist Prosecutor’s Office”. On the same day, the Assembly also adopted Law No.05/L-053 on the Specialist Chambers and Specialist Prosecutor’s Office. The Specialist Chambers are attached to each level of the court system in Kosovo – Basic Court, Court of Appeals, Supreme Court and Constitutional Court. They are to apply customary international law, including international human rights law, and the substantive criminal law of Kosovo insofar as it is in compliance with customary international law. The Specialist Chambers have jurisdiction over crimes against humanity, war crimes and other crimes under applicable Kosovo law in relation to allegations reported in the Council of Europe Report of 7 January 2011. The territorial jurisdiction of the Specialist Chambers is limited to crimes which were either commenced or committed in Kosovo. Consistent with the active and passive personality jurisdiction of Kosovo, the personal jurisdiction of the Specialist Chambers extends to persons holding the citizenship of Kosovo or the Federal Republic of Yugoslavia (FRY) or persons who committed crimes against persons of Kosovo/FRY citizenship. 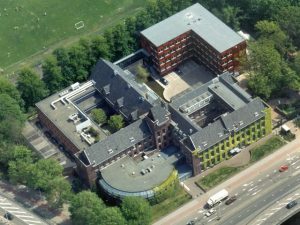 The Specialist Chambers and the Specialist Prosecutor’s Office are staffed with international judges, prosecutors and officers and have a seat in The Hague, the Netherlands. The Kosovo Specialist Chambers and the Specialist Prosecutor’s Office thus constitute another example of an internationalised criminal tribunal. The next day, the Assembly went into winter recess which meant that any parliamentary discussion of the initiative was postponed until mid-January 2018. The initiative, however, enjoyed strong popular support in Kosovo where KLA fighters were considered to be heroes. The country’s President, Prime Minister and speaker of the Assembly were all former KLA commanders which potentially faced indictment before the Specialist Chambers. “We are deeply concerned by ongoing efforts to undermine the work of the Specialist Chambers […]. The Chambers, in particular, are an important part of Kosovo’s commitment to the rule of law and Kosovo’s work to address crimes committed on its soil. The Quint countries have been long-standing and true friends of Kosovo, including at the most difficult times. From our support to the NATO intervention, to the sacrifice of our soldiers in Kosovo, to our early recognition of Kosovo’s independence and our ongoing support to your development, we have worked hard to support your country. Your success is in our interest. However, we will always insist that Kosovo should uphold justice. There is no reason to stop the work of the Specialist Chambers, and we call on any head of institutional bodies, party leaders, or Member of Parliament to abandon any thought of repealing or re-negotiating any aspect of the Law on the Specialist Chambers. Such a move calls into question Kosovo’s commitment to the rule of law and risks all that Kosovo has achieved. It puts the interests of certain individuals above the interests of Kosovo society. We condemn such a move, and anyone who supports it will be rejecting Kosovo’s partnership with our countries. We urge all Kosovo’s leaders and members of the Kosovo Assembly to speak out against this initiative and honestly inform Kosovo’s citizens of the severe negative consequences, including for Kosovo’s international and Euro-Atlantic integration, if Kosovo continues on this path. At the same time, we expect all states to prosecute or co-operate fully with prosecutions of alleged crimes committed in Kosovo. A second bid to start the process of revoking the Law on the Specialist Chambers and the Specialist Prosecutor’s Office failed on 17 January 2018, when the Kosovo Assembly presidency missed the necessary quorum to transmit the draft revocation law to the Kosovo government. However, five days later the proponents of the law succeeded in having the draft law sent to the government giving it 30 days to reply to the Assembly presidency with its opinion on the draft legislation. Even before the filing of the first indictment Kosovo’s internationalised criminal tribunal faced its first major challenge. Germany together with the other Quint countries and the European Union rose to that challenge and made it clear to the Kosovo leadership that only by prosecuting the individuals responsible for the inhuman treatment of people and trafficking in human organs during and right after Kosovo’s armed struggle for independence could the stigma of the crimes identified in the Council of Europe report be removed from Kosovo.